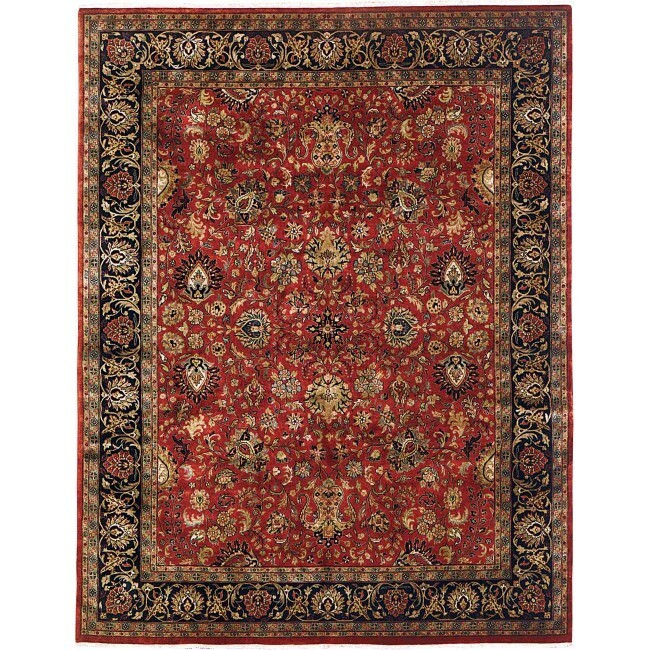 The design of this wool Indian rug is from the Persian region of Kashan and is hand-knotted in Varanasi, India. This rug has a knot count of approximately 200 knots per square inch. This leaf and tendril pattern is often associated to the Shah Abbas, one of the most celebrated of the Mughal kings.